We’ve all come up with what we think is an awesome campaign idea, only to get shot down by our boss or a client. In this talk, Chris Lee of Eight Moon shared valuable insights and practical tips on the best ways to avoid rejection and pitch an idea that your boss or client can’t say no to. 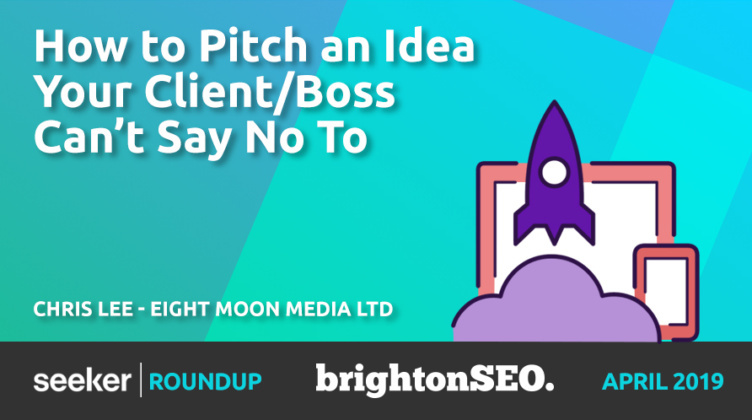 BrightonSEO: How to Pitch and Idea Your Client/Boss Cannot Say No To from Eight Moon Media Ltd.
What was the talk about? As the last speaker in the final afternoon session, Chris Lee had to contend with a tough crowd who were itching to get a pint from the DeepCrawl bar before trundling off to watch keynote speaker John Mueller get grilled in Auditorium 1. However, he commanded the attention of his audience through a combination of intelligent insight and actionable points on how to pitch an idea that your client or boss can’t say no to. Among his advice was the importance of thinking about how your idea will impact your client (or boss). After all, they must justify spend, prove business impact, and must look good when they are questioned about their decision to accept your campaign concept. Chris also took the audience back a mere 23 centuries and showed us how to apply the advice of Aristotle to modern-day persuasion using ethos (convincing your reader through your credibility/authority), pathos (appealing to your reader with emotion), and logos (using data to appeal to logic). “Ambivalence is the enemy of creativity”. Chris’s approach to pitching makes it possible to get your idea across the finish line without facing rejection from your client or boss. 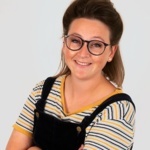 Through pitching that is simultaneously authoritative, emotive and data-driven, your team can create a pitch that is persuasive and successful. 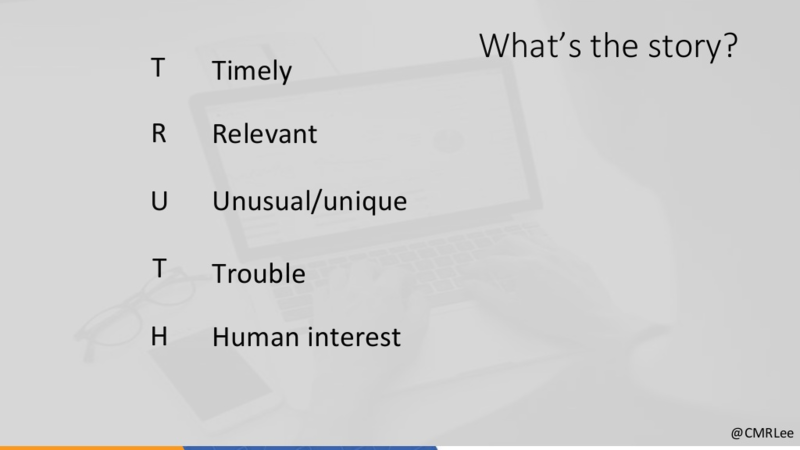 By focusing on the important aspects — the TRUTH (see slide below) — you can pitch your idea at a point where it’s timely and relevant, and highlight the story behind it that makes it unique and interesting. Have you met the brief? Are you crystal clear on the audience? Can you meet the client’s three needs? Are you confident it will work?